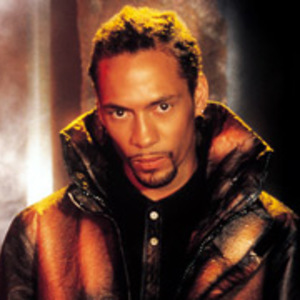 Roni Size & Reprazent Youtube Channel Roni Size & Reprazent Myspace Roni Size & Reprazent Facebook Fan Page Roni started on the path of production when he was thrown out of school aged 16, but music had always been a part of his life. Born and raised in Bristol, the sounds of the 70s blues parties and sound-systems happening in the St Pauls area of the city infected Roni's bones. Meeting up with Krust in the early 90s brought two musically compatible minds together, subsequently creating Full Cycle in 1993 and a new direction for electronic music. Having built a name for himself through Full Cycle and other labels, such as Talkin' Loud, 'Roni Size & Reprazent' took the world by storm in 1997 with their New Forms LP. Winning the Mercury Music Prize boosted their international status and the world awoke to the sound of Roni Size and Full Cycle. Thanks to such modern day classics as ?Watching Windows', ?Heroes' and ?Brown Paper Bag', the album quickly went platinum. 2002 saw the release of 'Touching Down', Roni's first truly solo album and one of the biggest selling independent d&b albums to date. Then in 2005 Roni came back to 'V' with the release of 'Return To V' which included the top 20 hit 'No More' with Beverley Knight. Roni & Reprazent recently collaborated with the BBC's Nature's Great Events composer, William Goodchild, to play a landmark gig with an Orchestra and Choir to mark the re-opening of Bristol's Colston Hall. The night was rightly dubbed as the ?show that we'll be talking about for years to come.? With so much already accomplished in his career, its no surprise that the 2010 is set to be a busy time for Roni. Currently in the studio producing his next Roni Size album, whilst also working with the band on a new Roni & Reprazent album, stay tuned to hear about these soon.